With greater dexterity and capacity to perform more intricate movements, the surgical robot can lessen the strain on the surgeon. Researchers from the Swinburne University of Technology are conducting a first-of-its-kind study on how robotic surgical systems can extend the career-span of surgeons. According to a recent press release, Dr Mats Isaksson is leading a multidisciplinary team that will compare the biomechanics of a surgeon operating with a Da Vinci Skills Simulator to that of a traditional laparoscopic surgical procedure. The project is possible because of the unique collaboration with a private healthcare facility and a medical devices supplier. 30% of surgeons prematurely end their career due to repetitive strain injuries, poor posture and working at unnatural angles. 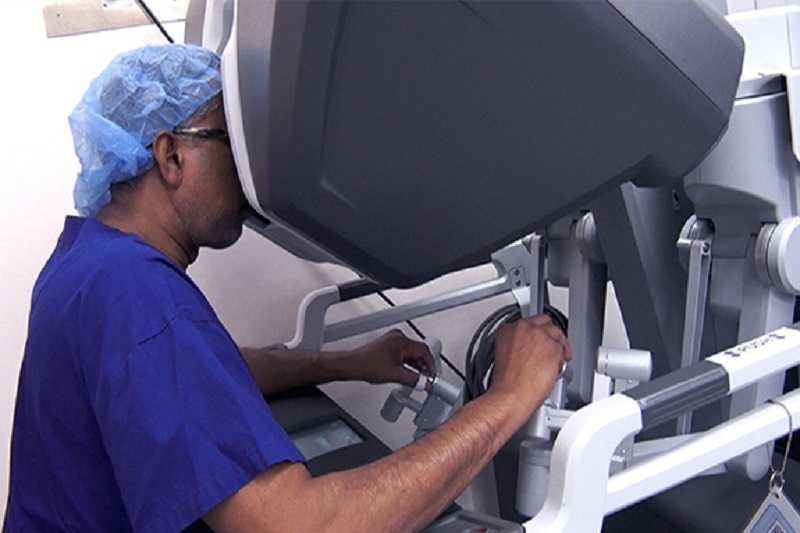 Although the surgeon has full control over its movements, the surgical robot has greater dexterity and can be manoeuvred to perform intricate movements more easily. Add to that how the robot lessens the strain on the surgeon as compared to traditional manual procedures. The Da Vinci robot allows the surgeon to sit comfortably and operate for longer and is also an excellent training tool that guarantees surgeons are prepared to perform procedures. Dr Isaksson says the project will draw on expertise from a range of areas at Swinburne. Mechanical engineering and interactive media will track the surgeon’s movements with motion capture technology while biomechanics will be in-charge of analysing the movements. Everything should be tracked so that the data collected can be put into a model, allowing them to calculate things such as ergonomic strain to show the differences between traditional and robotic laparoscopic surgery. Because of this, quantifying the differences between robotic and traditional surgery, which has not been done before, is now possible. The team will be able to prove the extent to which robotics are better for the surgeons. While this is merely the beginning of the University’s research into robotic-assisted surgery, the lead researcher guarantees that the future applications for this technology are extensive. The use of surgical robotics will continue to increase around the world, so now is a great time to explore and be at the forefront of understanding the benefits of the technology. Being a part of this project allows them to improve on these robots so that they can better serve both patients and surgeons alike. Furthermore, it would be great to get to a point where the robot provides sensory feedback when it touches certain areas, or even indicating how much pressure is being applied. It has long been in the interest of those participating in the study to quantify the benefits of robot-assisted surgery. Moving into this under-explored space is a great feather in the cap for the University.